Ask, and you shall receive. 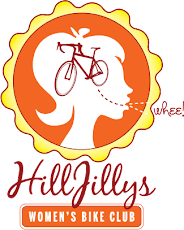 Are you a HillJilly who's just getting started? This week, we've got the ride that's just right for the neophyte. We'll meet at Andy's in Sebastopol (at the My Friend Joe coffee stand) at 9:30am and do a little gentle bike path exploration. This is a great outing for folks who are a bit nervous about riding on the road, have questions about shifting, or want to get reacquainted with two wheels on flat terrain. As always, and especially so on this excursion, beginners welcome and no one left behind. Rain cancels!